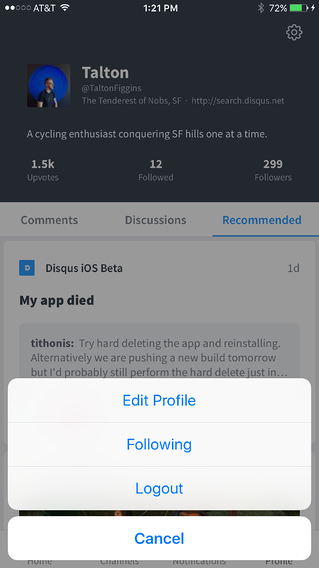 Update (January 4, 2018): The Disqus for iPhone app is no longer available in the App Store. Today, after much anticipation, we're excited to announce that we've released the first version of our iOS app in the Apple app store. 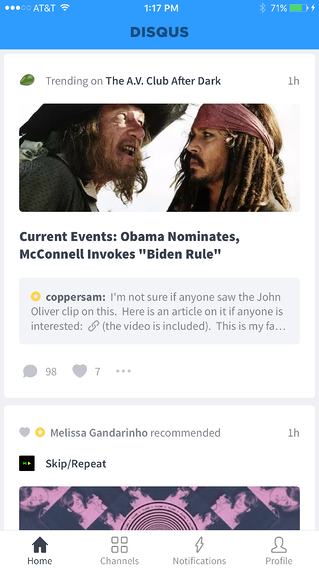 With this inital release, we’ve chosen to address the needs of iOS commenters in order to provide them with everything they need to continue commenting while on-the-go. 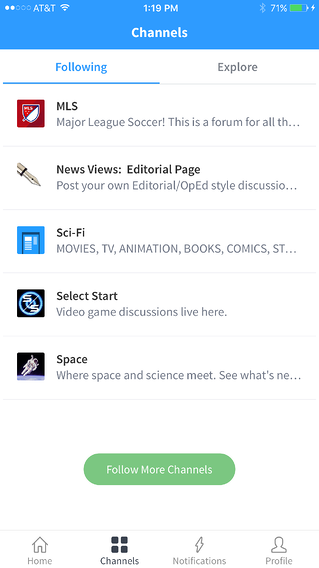 The app makes areas, such as your notification inbox and user profile, easy to reach and provides a way to discover new discussions from the channels and sites that you follow. 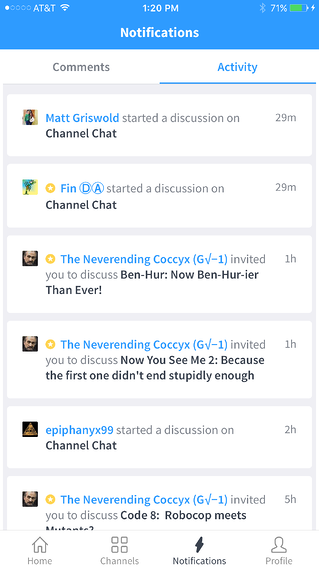 Once logged in, you have the option of diving into trending discussions from your Home feed, exploring new community channels, checking your notifications, or viewing your profile. 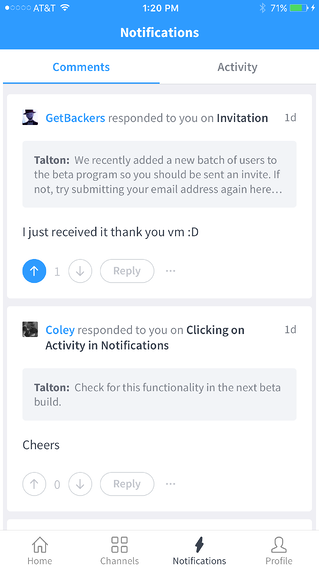 Along with the ability to receive push notifications, the app helps you quickly check your notifications and return to associated discussions via the Notifications section. 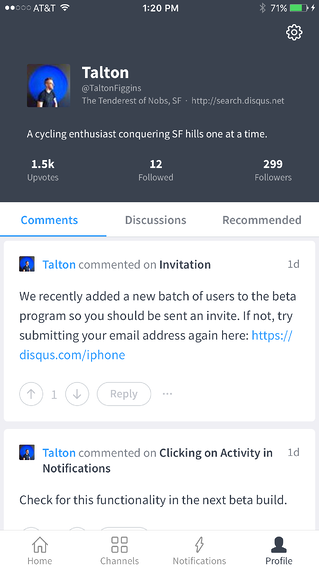 Upon visiting your user profile, you’ll find feeds for your comments, discussions, and recommends. Beyond that, you’ll be able to manage your profile information, followers, and people you’ve blocked. 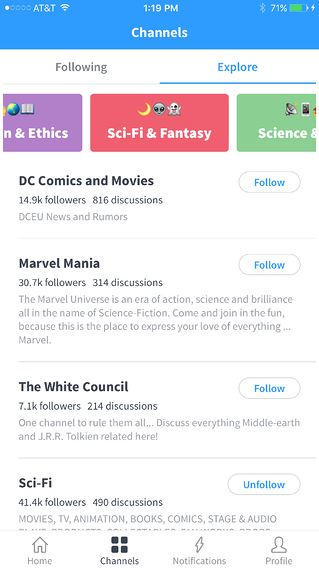 From the Channels section, you can view the sites and channels that you follow as well as explore community led channels across Disqus. 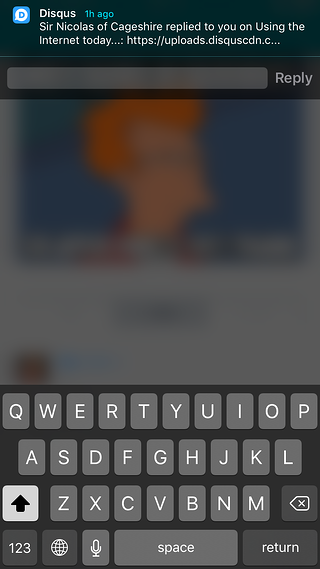 Along with many of the features you’re familiar with, we’re introducing a few new ones that are unique to the iOS app. 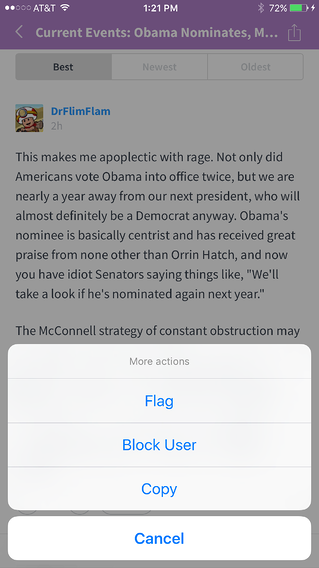 First is the ability to block others so that posts, and notifications from them will no longer be visible. Blocking actions taken on the app aren't currently reflected on the web version, though it’s something we’re committed to adding in the future. 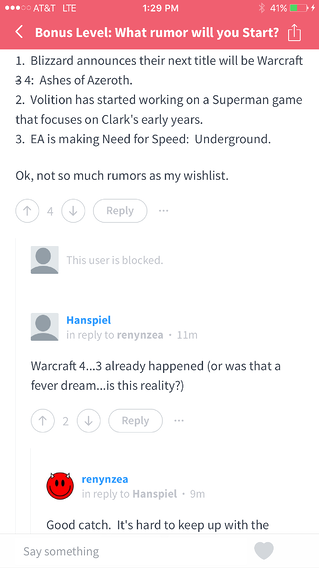 Second, downvotes now reduce the comment’s total number of votes, with zero being the lowest a count can go. 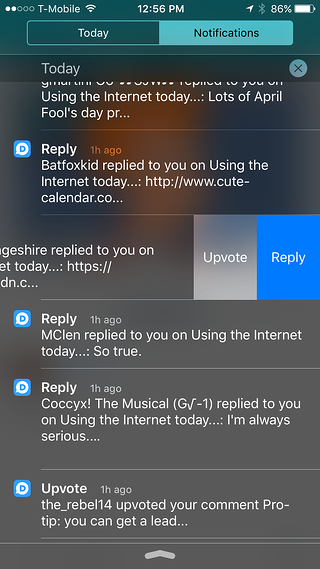 Lastly, you’ll be able to reply and upvote from push notifications. This release is just the beginning, so stay tuned for more features in future updates. 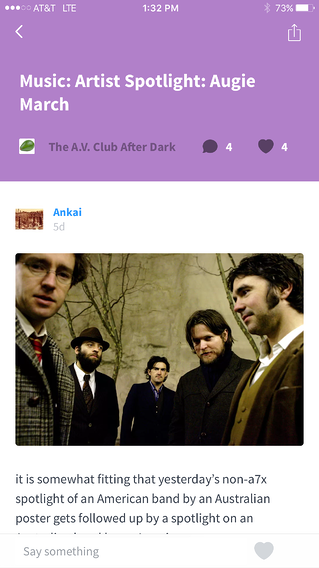 In the mean time, what functionality would you like to see in the app next?